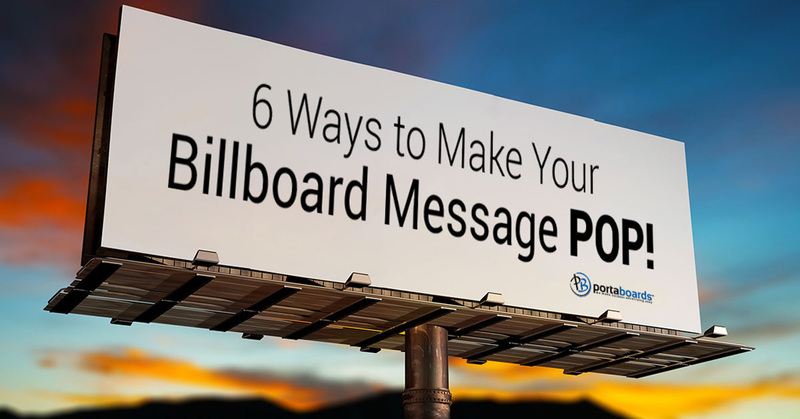 TIP 1: Make Your Billboard Message POP! TIP 3: Why is Outdoor Advertising So Great? At Portaboards, we make outdoor advertising easy! Use one of our mobile billboards, a standalone sign, or a backlit LED billboard to capture your customer’s attention and get your brand seen. If you haven’t taken your advertising to the streets, you are missing out on a huge population of potential customers. Portaboards gives you the flexibility to take your advertising wherever you go, and to target the exact audience you want. Think of how many more people you could reach with Portaboards! Read our great outdoor advertising tips below, and grow your business today! 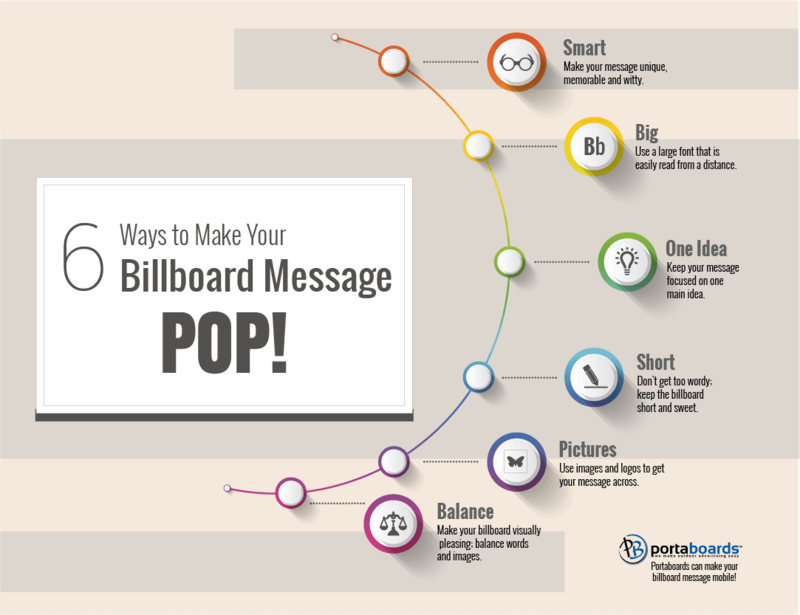 6 Ways to make Your Billboard Message POP! To reach your customer base, you need great advertising. Our mobile billboards are the perfect opportunity to get your message in front of your customers. With our portable billboards, you can place your ads where you think they will have the most impact. Portaboards sells, rents, and leases outdoor advertising solutions. While we provide the means to display your advertising, you still want to have a memorable, unique and easily readable sign that will quickly and effectively communicate your message. 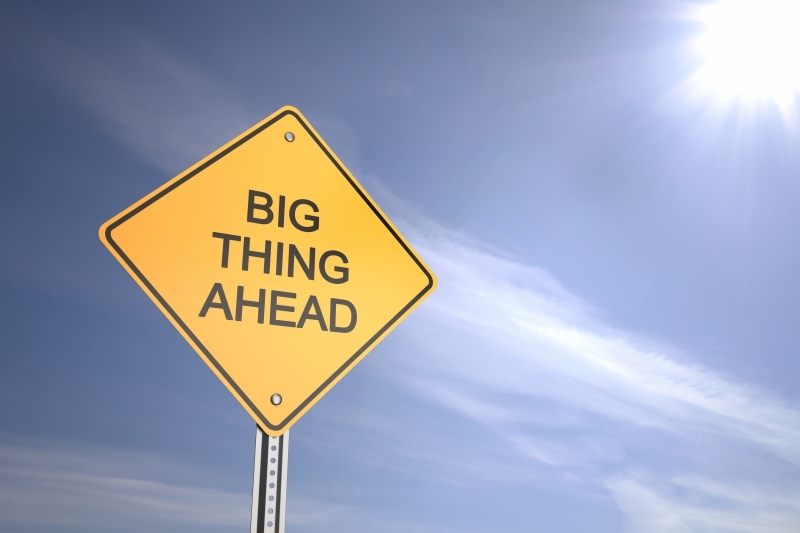 Read on for the six best tips on maximizing your billboard’s potential! A billboard is not the place to be boring. This is premium marketing real estate that you need to capitalize on with something smart, witty, funny, and memorable. Your customers are bombarded with advertising every day, and you want something unique that will grab their attention. Think outside the billboard box, and consider how you can make your billboard really stand out. A big advertising surface calls for big font! If most of your billboard is blank, or if the writing is too small to read, you will not have the desired impact. Minimize awkward blank spaces on your billboard, and fill the area with appropriately sized font. Make sure that your customers can easily read the message on your board from a distance. Give your customers one idea to focus on and to remember. A billboard is not the place to list multiple products, packages, or explain your company’s philosophy. Boil your message down into something that is easily accessible, and grabs a customer’s interest. If people will be driving by your billboard, you have six seconds or less to grab their attention. You may have a little more time if you will have foot traffic, but the idea is the same: keep it short and sweet. Several paragraphs of text will not get read, and are wasting your billboard space. Adding in pictures and logos can say more than many words can. A great picture can grab attention, convey a larger message, and really be memorable. A billboard is also a great time to prominently display your company logo. If your picture explains your headline, there is no reason to use both, and you can use your words to fill in additional information. You want a concise message, and a great photo, but make sure there is great balance between the two. Don’t let your picture overpower the words you are trying to get across, and don’t make the words so large that your logo gets lost. In a billboard, balance is key. Considering a way to reach more customers, but don’t want to commit to a stationary billboard? Portaboards has the solution for you! Portable, mobile billboards that can bring your message to any location. When you combine these six great tips with mobility, you are sure to grab your customer’s attention! Follow these tips for a great billboard, and get your message out there! There are many reasons why signage is crucial for any business to grow and draw in customers. Having the right signs in place can be the difference between growing your business and letting it fall flat. However, sometimes you don’t have the option of permanent signage that is either big enough, or in the right place. Our stand alone signs are the perfect solution for those times when you need movable, durable signage in exactly the location you decide. Read on for some great uses of our stand alone signs to help your business really stand out. Maybe your business is not fortunate enough to have prime real estate on a busy street or in a happening downtown. Maybe you are just a half block off of the main drag, but no one is visiting your store. A stand alone sign can be placed on a busy corner to highlight your business and where it is located, and will hopefully drive traffic right to you. Or, you might be on a great street for walk-in customers, but the space allotted for a sign is too small or inconspicuous. Adding a stand alone sign out in front of your business can help you stand out. Additionally, you can convey more information on a standalone sign if your regular sign is too small for all of your marketing needs. Drive interested customers inside your business with a stand alone sign! If you are in a business, such as a Farmer’s Market, that is held in a temporary location you will need a non-permanent way to let people know who you are. A portable, stand-alone sign is a great solution to temporary business locations! Our signs are made of high-quality steel, and will stand up to any kind of weather. Don’t bother with hand drawn signs that may be ruined in rain or snow, invest in a sign that will last for years. If you have any kind of mobile clinic, pop-up store, or other moving location, a great sign will help to legitimize and promote your business. Unlike some of our larger signs, our stand alone signs are great for someone that needs to be able to quickly get up signage, or frequently change locations. Coming in three sizes, 4×4, 3×6 and 4×8, our stand alone signs are easily transported and ready to use anywhere. Because they are weather-resistant, you won’t have to be running out to grab them every time it starts to rain. If you need a quick solution to your sign issues, our stand alone signs are a great option. If you are trying to guide people to an event at a nondescript building or location, a portable sign is the perfect way to eliminate confusion and guide people to the desired location. Setting up a sign, or series of signs, near where people will be parking, driving or walking to your event can keep people on time. If you sell an item that runs out due to demand, such as doughnuts, you may want to use a sign to highlight that you are out of your product. Customers will appreciate not having to park and come all the way inside your business just to be told that you have run out of something. Consider a portable sign the perfect extension of all of your existing advertising. Do you have a sale every season? 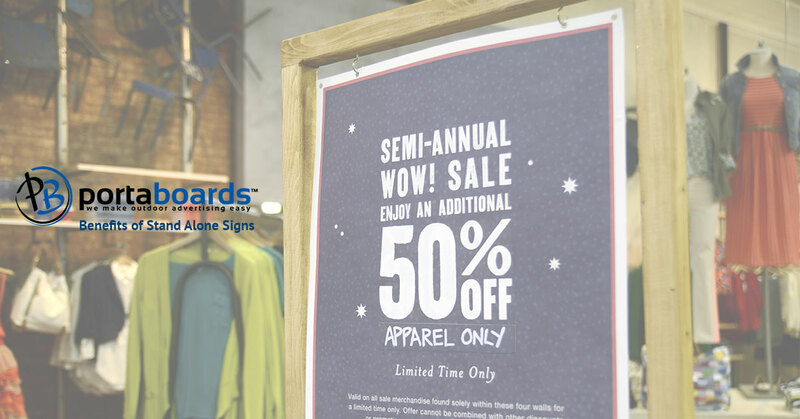 A durable sign that will last through the years can be the answer to conveying your annual sales and special to your repeat customers, and hopefully draw in new ones as well. If you know that you need serious advertising on a recurring basis, a stand alone sign can help fill that gap and alert customers to sales they know and love, or draw in new potential buyers. Does your business have varying hours of operation that could be confusing for your customers? If you don’t have a set schedule of hours you are open, a portable sign could help inform your patrons of when you are open. If parking is an issue around your location, a stand alone sign can convey to your customers that you are indeed open and it is worth stopping and parking. Anything you can do to reinforce that your business is there and open is crucial for growth and sales. So, as you can see, a stand alone sign is a great way to promote and advertise your business. 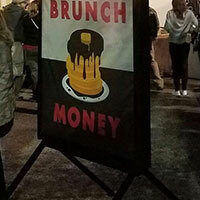 A portable sign can fill the gaps between your permanent signs and other marketing you may have. A portable sign can be moved to any location, giving you ultimate flexibility to advertise even if you don’t have a permanent business address. At Portaboards, we offer high quality stand alone signs to help your business grow. Why is Outdoor Advertising So Great? If you want to have a thriving business, you need to advertise. Why would you choose to use outdoor advertising? Outdoor advertising has many benefits, and provides a huge return on investment. 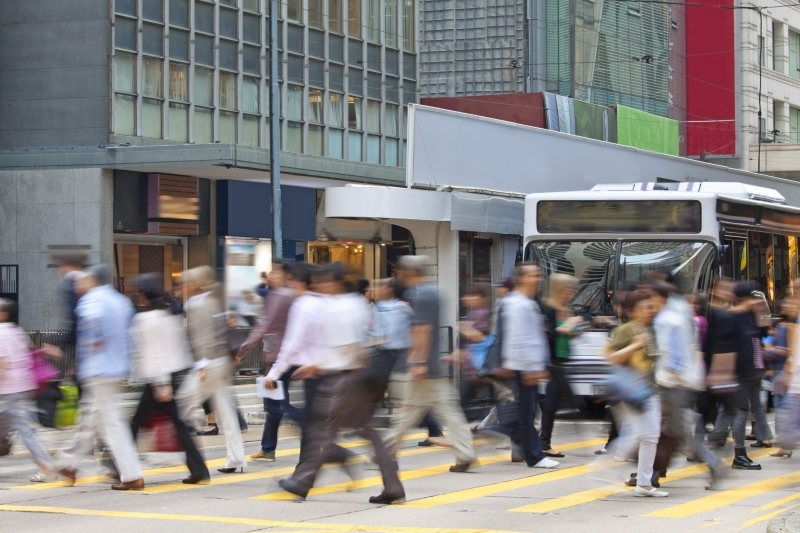 Read on to learn more about how outdoor advertising can help your business grow and succeed. If you get a piece of mail you don’t want you can immediately trash it. If a commercial you’re not interested in comes on you can change the channel to avoid it. If you are driving by a large outdoor sign, you can’t avoid looking at it. A great outdoor sign will quickly convey your intended message, and your customers will have seen it whether they were intending to or not. A large billboard cannot be put down like a magazine, and is one place where the consumer doesn’t control the ad space. An outdoor ad cannot be turned off, or fast-forwarded, or closed like a browser window. The beauty of outdoor advertising is that it is unavoidable. With many Americans spending more than 15 hours a week in their cars, billboards and other roadside advertising bring your ads to where your customers are day after day. The repetition of seeing the same ad every day on your way to work, or every time you drive to the grocery store, really drives your message home. Take your advertising to where people are, which is increasingly outside of their homes. Utilizing a frequented outdoor spot also allows you to create a series of advertisements that will be seen in progression, and that can promote your brand even further. A bold advertisement that people see day after day has a big impact, and can make them remember your business and your message. With outdoor advertising being able to reach so many people, you would think that it would be prohibitively expensive. However, outdoor advertising is actually one of the most cost-effective media formats, and is historically only more expensive than radio advertising. You are reaching thousands of people with one billboard or sign; compare this to direct mailers that must be individually produced, mailed, and are often thrown away before they are even read. To be able to reach more people while spending less money is every company’s goal, and outdoor advertising allows you to do just that. If you are looking to promote your brand in the most cost-effective way, you need to consider the huge return you will get from outdoor advertising. Outdoor advertising is available 24 hours a day, 7 days a week. It reaches the early birds on their way to work, and the night owls up late. Especially with options like LED backlit billboards, you can reach your customers even when the sun goes down. Outdoor advertising works for you around the clock, and is continually broadcasting your message. If you want advertising that continues to work hard and never sleeps, you need outdoor advertising. Think of the range of customers you can reach when your advertising is on both day and night! The large format of outdoor advertising, and the mobile options available means that you have freedom of design and location for your message! Portaboards brings you so many mobile options with trailers and truck-bed mounted signs, to be able to quickly and easily transport your signs. Double-sided billboards give you the flexibility to have two different messages in one location, or to advertise to two different directions of traffic. With Portaboards mobile advertising billboards you get all of the benefits of traditional billboard advertising with the added flexibility of a mobile sign. Think of all of the places you could put your advertising that will be visible to hundreds of potential customers! With mobile trailers, you can move your message daily, weekly, or monthly to where it will have the most impact! Outdoor advertising reaches a huge customer base, has a great return on investment, and never sleeps. If you are looking for a way to really get your brand known, you need to consider outdoor advertising and a mobile sign from Portaboards. We have many sizes of mobile billboards, stand alone signs, and truck and hitch billboards, to allow you to bring your advertising to the right locations. Reach more customers and stretch your advertising budget with mobile outdoor advertising from Portaboards! If you have decided to do some outdoor advertising for your business—great decision! Outdoor, street-level marketing can reach a vast amount of potential customers, can always be available, and can’t be turned off. But are you getting the most out of your outdoor advertising? You may be making some of these common mistakes, and sabotaging your advertising efforts. Read on to see some of the common mistakes, and what to do to avoid them. A billboard, and more importantly a mobile billboard, is a great investment. But many billboards are placed too high for the customer to be able to read, or even see. Billboards on the side of the highway can be up to 100 feet off the ground, and no one is reading those except the birds. Having your billboard placed at eye level is the best way to ensure that your customer can read the words, see the images, and understand the message behind your billboard. Don’t have your customers craning their necks to see your billboard, put it in the right place for easy reading and understandability. In the U.S. we drive on the right side of the road, and that makes a billboard on the right side so much easier for a driver to see. If you are placing your outdoor billboards on the left, your customer base may not be catching what you are trying to say. Your words and images will be smaller, and the opposite flow of traffic may block your message. Even on the sidewalk, the flow of people walking follows the same pattern, and a commuter on the right will walk next to a sign that is placed on that side of the path. Go with the flow of traffic, not against, and you will reap the rewards in interested customers. Alright, you have the perfect space to put a billboard or a sign, but the majority of your traffic is in the evening hours. No one will see your beautifully crafted billboard if it is dark! Choose a lighted, LED billboard that can shine your message even when the sun goes down. Your customers are out and about way after sundown, so make your billboard one that can be seen both day and night. Are you advertising a daycare in the middle of a crowd of teenagers and college graduates? Trying to advertise for your indoor skate park near a nursing home? You need to consider the demographic of the area you are placing your sign or billboard in, and match it to your target customer base. If you know that young professionals are your target demographic, placing a sign in a busy lunchtime area for office workers, or on a commuter route, can bring your message to those people that will become customers and grow your business. “We sell toys.” Okay, and? Your outdoor advertising needs to have a strong call to action to tell your customers what they should be doing. Instead, try: “The best toys for all ages—big sale today!” Giving a sense of urgency or a time-related incentive can help push your buyers into taking action immediately and turn into a sale. You have limited space to get your message across on a billboard or sign, so use it wisely. Did you put a sign out for one night and not get any customers from it? That is to be expected, and you need to commit to outdoor advertising for an extended period of time before you decide whether it is working for you. Some people may need to pass your message for a few weeks before they decide to finally take the plunge and visit your store or call your number. Are you moving your sign every single day to a new location? That’s great for getting more exposure, but if you are pretty sure you are in a good area for your target customers, you may just need to have some patience. Of course, you didn’t do it on purpose, but many signs and billboards are unintentionally hidden from view. You should take the same driving or walking route that your customers will, and see your sign in action to look for any potential obstructions. Did you put your billboard up in the spring and now the tree in front of it has leafed out and hidden it from view? Is there a sharp curve in the road, or another area where drivers can’t take a few seconds to read your message? Or is your sign hidden by another, larger sign when people are approaching it? Double check your sign placement, and make sure it is in a clear viewing path. We’ve said it before, and we’ll say it again. Your billboard needs a short, concise, and powerful message to quickly convey your business to your customers. They don’t have time to read a novel, or grasp a series of detailed images. Keep it short, sweet, and easily understood and help your viewers understand what you offer, where you are, and why they should choose you. Using images instead of words can also help quickly convey something in a memorable way. This is probably the biggest mistake you are making! If you aren’t using Portaboards for all of your mobile billboard and outdoor advertising needs, you aren’t getting the best! 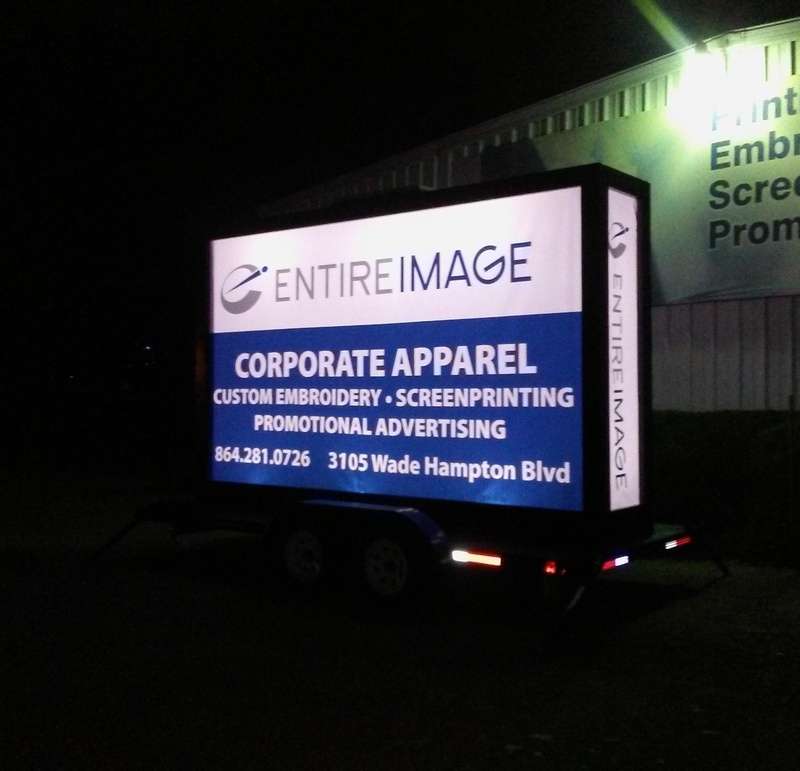 We have high-quality billboards to withstand all weather conditions, trailers to bring them where you need them, and backlit, LED billboards to shine your message at night. You can avoid all of these advertising mistakes when you choose Portaboards and bring your message to the exact spot you want it, at the times you need it. 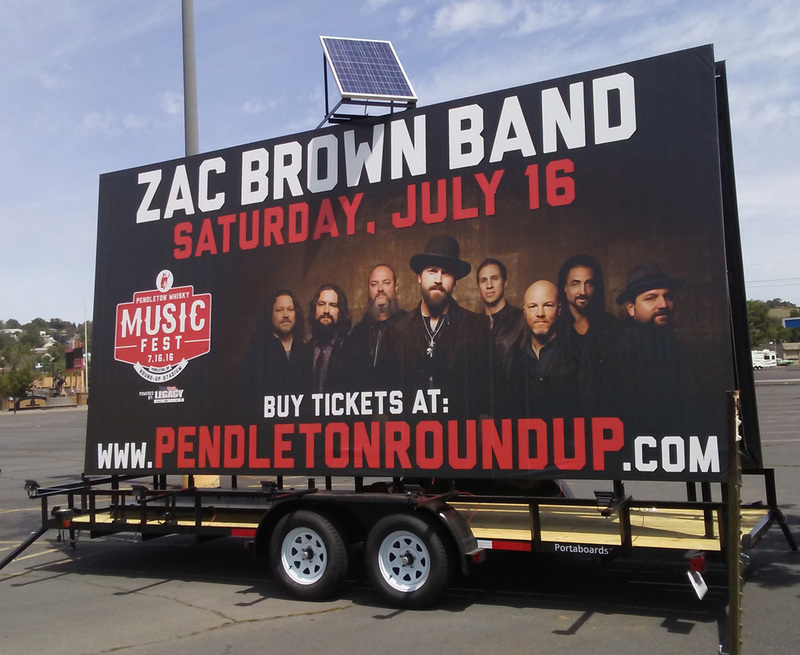 For events, stores, sales, and more, Portaboards makes outdoor advertising easy! Find More Tips On Our Blog!